Love and imperfection are in the air! And to celebrate, the Promotions Department at Shut Up Industries is pleased to announce an exciting new contest . Simply submit a slogan for imperfect candy hearts by leaving a comment with your slogan below. If your slogan is selected, you could be the proud winner of an imperfect basket, featuring Shut Up merchandise, goodies, and other fun items. Just submit your entry by Monday, February 13th and we’ll post the finalists on the Shut Up Blog for all to vote. 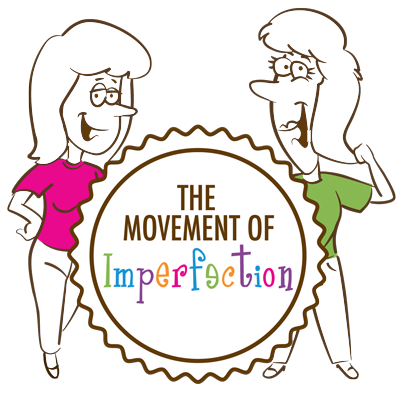 The imperfect winner and entry will be announced on Monday, February 14. Winning entries will be selected for their creativity, humor, and imperfectness. Employees of Shut Up Industries (aka The Shut Up Sisters) may not participate. Good luck to all. So, let’s hear your suggestion. Leave your comment and name below with your slogan. “Bite Me.” My son bites. I wish he just bit candy. “So Angry @ U” We hear this a lot. Love me….accept me….want me….pass the wine!! Of course you can also replace Aspie with, BP=Bipolar, or AD/HD or whatever. Said by my 5 1/2 with Apraxia of Speech and SPD quite frequently. Give the Hairy guy a chance, he might surprise you. Wait that won’t fit on a little heart…. because he does try to like people but it doesn’t always work out ! and my ocd/anxiety fellas is overthinking his answer….not sure why i even asked him! It’s not bribery…it’s positive reinforcement! Jodi, I love it, but just so we’re clear, Kohl’s is selling a Lexapro sign? If it’s not food, DON’T EAT IT!! Poop or Chocolate? Who cares! Ahhhh, gotta love the boy! Stay in your own space! Ooh, I like that Schmoop. Your perfect kid will probably work for my imperfect son someday!